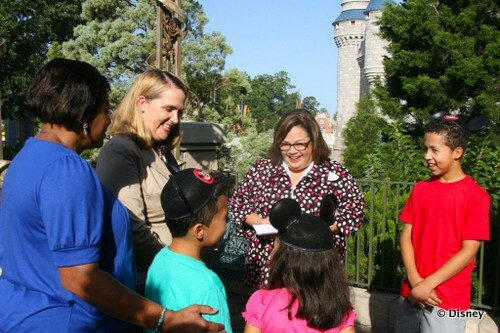 Recently, the Walt Disney World Resort donated $15,000 to the Foundation for Foster Children, a non-profit organization that helps children living with foster families to realize some of their own wishes, including attending summer camp, art classes, and more. "Each coin is a symbol of hope and dreams," said Nancy Gidusko, director of community relations at Walt Disney World Resort. "This donation will help foster families make wishes come true for children living under their care." Walt Disney World has been donating coins collected from fountains and the wishing well for more than 30 years. The plaque at Cinderella's Wishing Well even reminds guests that their wishes are going to help children's dream come true. The cast members at the Walt Disney World Resort voted for the Foundation for Foster Children to receive the donation this year. It always makes me feel good to know that these coins go to a good cause. I'll be sure to toss a few coins into the wishing well on future trips.